These traditional picture hangers offer the most economical option for all wall hangings. Good for lightweight, simple jobs. Kit includes, wire, eye hooks, wall hangers and nails. Picture hangers rated for 20 to 50 lbs. In hard plastic, reusable, hanging case. Hidden in the side of the board, CAMO® Edge Deck Fasteners create a beautiful, fastener-free deck surface. Easy to install using a Marksman tool, CAMO® Edge Deck Fasteners secure deck boards directly to the joist to reduce board movement, and they back out easily in the event a board needs to be replaced. No pre-drilling is required! And all CAMO® Fasteners come with a Limited Lifetime Warranty that guarantees against rust and corrosion for the life of the project. 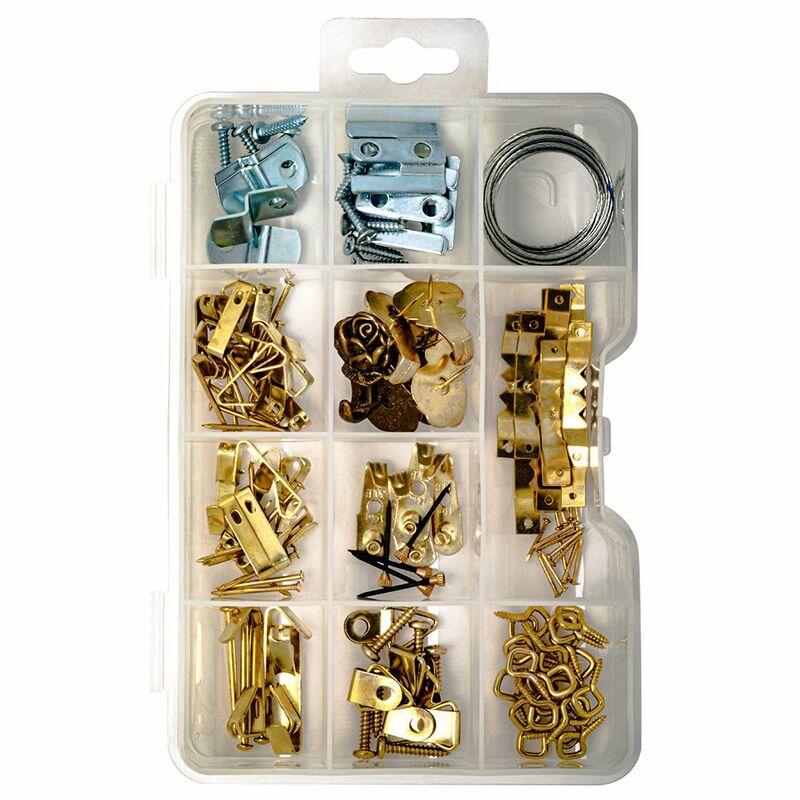 Picture Hanger Kit - 136Pcs These traditional picture hangers offer the most economical option for all wall hangings. Good for lightweight, simple jobs.